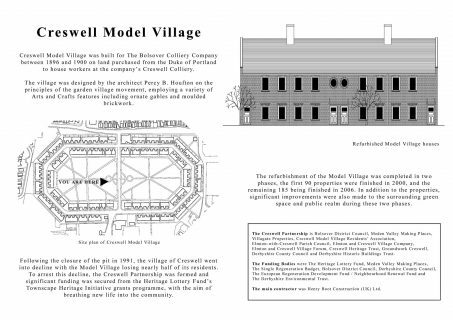 Creswell Model Village was built for The Bolsover Colliery Company between 1896 and 1900 to house workers at the company’s Creswell Colliery. 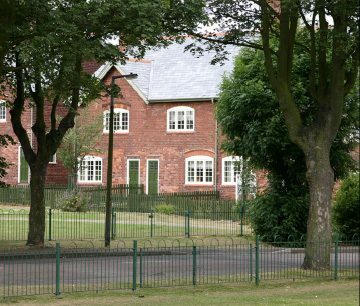 Designed by the architect Percy B. Houfton on the principles of the garden village movement, employing Arts and Crafts features. Following years of decline, significant funding was secured from the Heritage Lottery Fund’s Townscape Heritage Initiative grants programme, with the aim of breathing new life into the community. 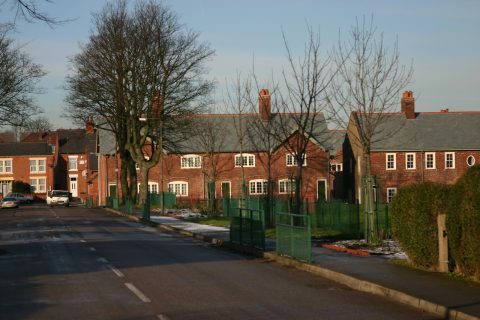 Following a competition the refurbishment of the Model Village was completed by AXIS in two phases, the first 90 properties were finished in 2000, and the remaining 185 being finished in 2006. 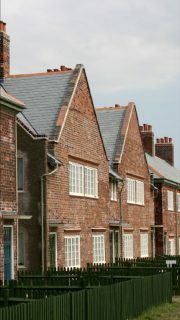 In addition to the properties, significant improvements were also made to the surrounding green space and public realm.